Some automakers want to broaden consumer-level incentives on ZEVs, both financial and non-monetary, such as preferred parking, lower registration fees and access to high-occupancy vehicle lanes, while boosting public awareness. As the federal government’s zero-emission vehicle policy review races to conclusion, its central question is emerging as contentious: Just how much should Ottawa intervene to accelerate expansion of Canada’s ZEV fleet? There’s little doubt the Liberal government’s new policy, expected sometime next year, will include measures to encourage Canadians to buy more plug-in electric and hydrogen fuel-cell vehicles. But if Ottawa adopts one option under consideration, a mandated sales quota for ZEVs similar to those in some U.S. states and headed for implementation in Quebec, it’s going to get pushback from the auto industry. The review, launched in late May, is part of Ottawa’s Pan-Canadian Framework to help meet its target of reducing greenhouse gas emissions to 30 per cent of 2005 levels by 2030. It’s moved at lightning speed for this kind of government process. An advisory committee of almost two dozen experts, includes federal, provincial and territorial officials, industry stakeholders and academics. 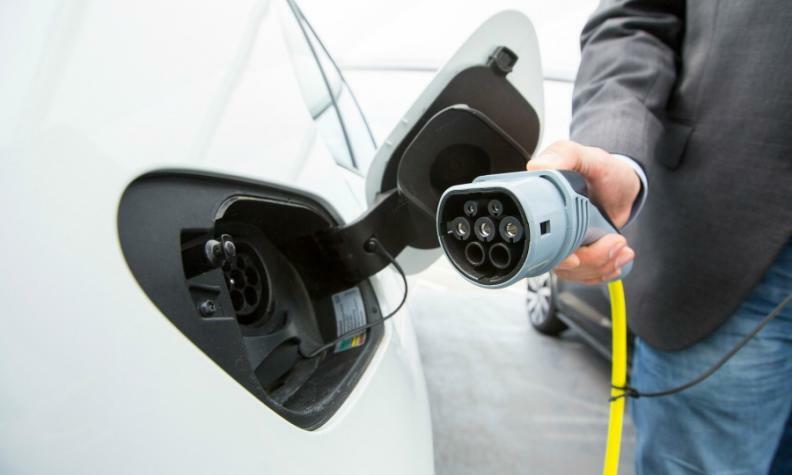 Working groups submitted reports by the end of July on five areas: Supply, ZEV ownership cost-benefit, technology, charging and refueling infrastructure and public awareness. “I was impressed with the quality of what was pulled together in a fairly short period of time,” said committee member Mark Ferguson of McMaster University’s Institute for Transportation and Logistics. The committee held its third face-to-face meeting in Ottawa in mid-September before submitting final reports outlining policy options in the key areas. The government promised the policy would be in place by next year. “My sense is they’re trying to make sure that it’s the early part of the year, not later,” said committee member Devin McCarthy, vice-president of public affairs at the Canadian Electricity Association, who, along with other committee members, was interviewed before last week’s meeting. An early rollout makes sense if the policy requires budget measures, such as money for purchase incentives or to subsidize infrastructure development. Transport Minister Marc Garneau seemed to rule out a sales mandate when announcing the review. But it remained part of the review and has champions within the committee. Electric vehicle sales are growing but still amount to less than one per cent of a 1.9-million-unit retail market. Consumer incentives are not doing enough, so something needs to be done to increase supply and availability, said committee member Suzanne Goldberg of Simon Fraser University’s Sustainable Transportation Action Research Team, Simon Fraser University. “We see that as one of the biggest gaps in the policy arena today,” she said. Ontario Transportation Ministry spokesman Bob Nichols said the province is monitoring the Quebec mandate – it requires automakers to generate credits equal to 3.5 per cent of sales for model year 2018, rising annually – and working with them towards a five-per-cent target for ZEV sales by 2020. It’s not clear Ottawa has ruled out a national sales mandate. The issue is embedded in a larger debate on the pace of ZEV adoption and the level of intervention it could need, said Ian Jack, Canadian Automobile Association (CAA) government affairs manager, who sat on the pubic-awareness sub-committee. The more ambitious the targets, the more intervention required. Auto-sector representatives at the review reject quotas, arguing they’ll be costly (automakers say they already lose thousands on each EV sale) and distort the market. Instead they want to broaden consumer-level incentives, both financial and non-monetary, such as preferred parking, lower registration fees and access to high-occupancy vehicle lanes, while boosting public awareness. “It’s the combination of those things, the wholistic approach for support, is what’s really going to move consumers in their purchasing decisions,” said Mark Nantais, president of the Canadian Automobile Manufacturers Association, who sits on the committee. California has had a sales mandate for more than two decades, Nantais noted, but ZEV penetration remains below four per cent. Most air-quality improvements in the state are due to vastly more efficient internal combustion-powered vehicles, he said. “You can’t force supply for which there’s no demand,” said Nantais. Committee member David Adams, president of the import-oriented Global Automakers of Canada, agreed. Expand the range of incentives and increase the public’s understanding that driveway-ready EVs are available now before resorting to quotas, he said. “We’re not in favour of the Quebec approach either at CAA,” added Jack, whose organization has suggested Ottawa create short-, medium- and long-term policies as technology evolves and costs go down. There’s no point in trying to push more ZEVs into the market if models people prefer – SUVs, crossovers, pickups – don’t exist, he said. But better outreach to bust myths about range and practicality might get more bums in seats of today’s offerings. “There are still people who could be driving ZEVs that aren’t,” Jack said. The auto industry shares the government’s long-term view that transportation needs to be decarbonized, said Adams.